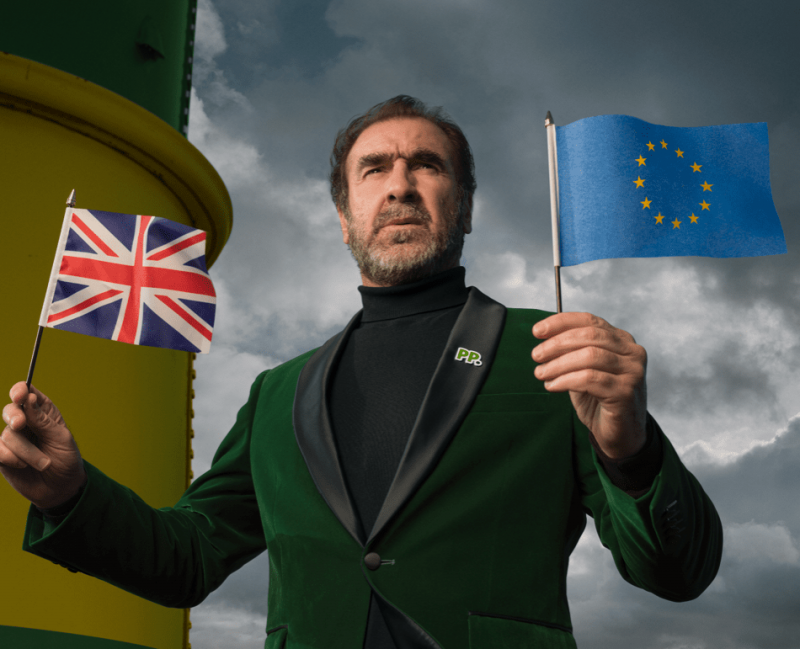 Eric Cantona has weighed into the carnage around Brexit, as he offers Brits an escape from the incessant talk about the process. As uncertainty and debate rages, Paddy Power have released a video of one of football’s greatest European imports, encouraging Britain to make an exit of their own – from Brexit. That’s because the Irish bookmakers have created a ‘Brexit bunker’, somewhere between the UK and France, to escape from the carnage. In the film unveiling the bunker, and the competition to stay there, Cantona recreates Theresa May’s infamous dance moves, mocks Boris Johnson and Jacob Rees-Mogg, and references David Cameron’s love of pigs. He also shows how the facility comes stocked with supplies and rations – including tinned sardines. Of course.